It’s Miami Baby! 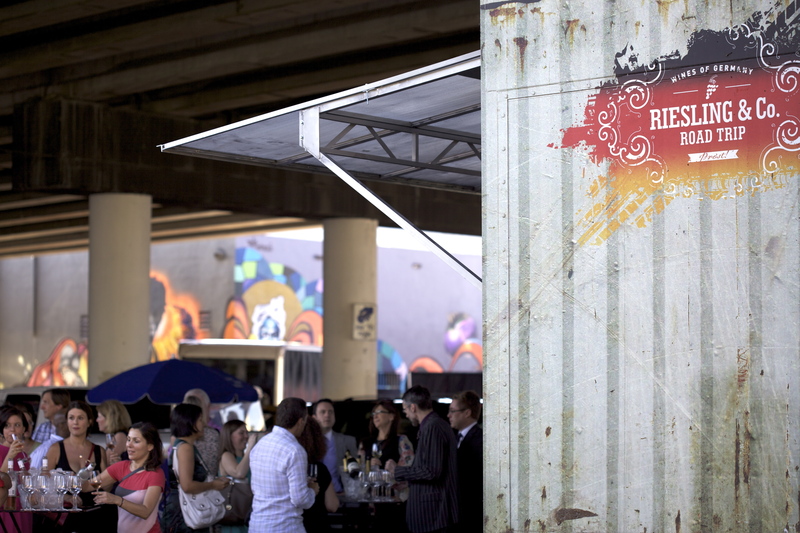 And good things happen under The Cypress Room’s overpass when Riesling is involved… Here, the Riesling Road Trip made its first stop complete with mobile bar in a modified shipping container. Another month or so has passed and another enchanted evening was upon us last night, this time at The Cypress Room with our second special guest after February’s wondrous visit from the Gramercy crew. We welcomed Wines of Germany’s Riesling Road Trip and the Overlord of all Overlords since he presides over this wondrous realm in which sugar and acid hang in delicate balance. I write of our friend, James Beard Award Winning Wine Director Paul Grieco, who along with delicious partner Marco Canora, share their passion for creative wines finished with context at their beloved Hearth restaurant and Terroir wine bars in New York City. Eric Larkee always says that wine is the last ingredient of a dish. I’ll add that a great story is the last ingredient of a wine. And my oh my does Paul have some stories. And we learned so too does Berlin-based Riesling expert Stuart Pigott, like how pea soup is typical of German cuisine of the Rheingau, where 2012 Schloss Johannisberg Riesling Feinherb, Gelblack calls home. So fitting as the pairing for CHILLED PEA SOUP — CRAB AND SORREL, the second of many standout dishes from chef de cuisine Roel Alcudia and Hedy Goldsmith. See how the Riesling went down, and to such a sweet crescendo indeed, with our Flickr album of 96 priceless pictures. Following the excellence of The Riesling Room, we take a change of pace just how we like it. It’s summer after all! Let’s mess with Texas. It’s about time as we return to our casual neighborhood joint across the Design District to the west! After esteemed visiting guests Gabrielle Hamilton, Jonathan Waxman, Marc Vetri, Jonathon Sawyer, Kevin Sbraga, Jon Shook and Vinny Dotolo, Paul Grieco, Chris Hastings, Hugh Acheson, Andrew Carmellini, Mindy Segal, Paul Kahan, April Bloomfield, Bill Telepan, Joey Campanaro, Jeff Michaud, Matthew Accarrino, Michael Solomonov, Ben Ford, John Currence, Ken Oringer and Jamie Bissonnette, Jenn Louis, and Mike Lata, Michael is thrilled to welcome Matt McCallister to take over Harry’s Pizzeria on Tuesday, July 1 at 7PM! FT33 Pizzeria is live and ripe for the picking HERE! Matt McCallister is a name you want to know. Our first Texan to pop and surely not our last, the executive chef and owner of FT33 in Dallas serves “season-inspired modern cuisine” at his first solo venture, opened on October 13, 2012. Matt is all about the highest-quality products and treats them with respect. “I don’t print my menu until I know which ingredients are best that day,” he explains. “That should be the natural progression, rather than do the reverse, creating a dish and forcing whatever ingredients are available into it.” McCallister also has a penchant for creating unorthodox pairings of ingredients. 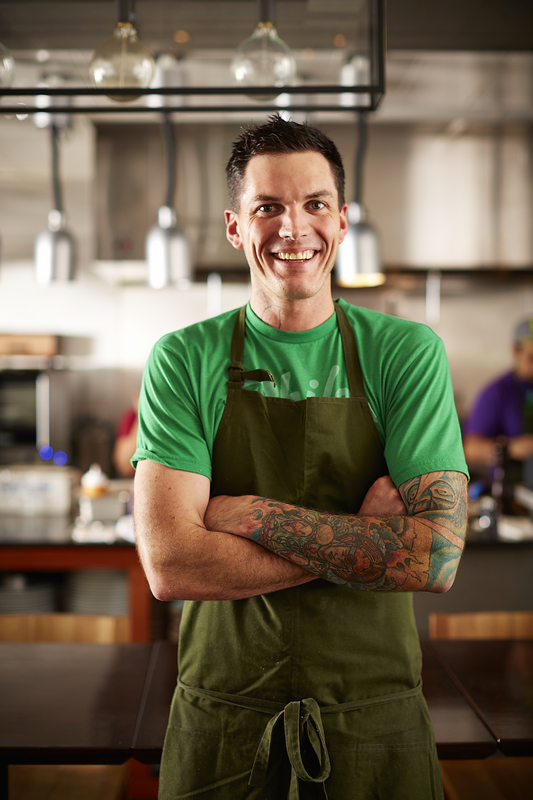 McCallister has received rave reviews based purely on his signature progressive technique, and modern farmers’ market-inspired fare. Before becoming a thoughtfully progressive culinarian in the Dallas dining scene, McCallister was torn between the visual and culinary arts. “Art was a passion that always competed with food, but cooking gives me an opportunity to blend the two,” says the Scottsdale, AZ, native, whose artistic sensibilities were influenced by his designer mother and scientific curiosity can be attributed to his research engineer father. Extending the reach of his food philosophy, the chef and his wife founded Chefs for Farmers, a grassroots organization supporting local farmers by introducing their products to chefs, and vice versa. He is also a member of Foodways Texas and Southern Foodways Alliance. You know the drill. Seating is first come, first served for this family-style meal at our casual neighborhood joint. Making new friends is encouraged and easy when you’ve got a welcome cocktail in hand with hors d’oeuvres, four courses, free-flowing wines by The Genuine Hospitality Group sommelier and wine director Eric Larkee and our tap beers at your disposal. Take home something special from Matt, too. All that and tax and gratuity are included in the ticket price of $150.